Kicking Horse is a relatively new resort near Golden, BC in the Purcell Mountains. It is in the top 10 for vertical drop (lift-served) in North America and has lots of acreage, but only 3 lift pods and only 2 major lifts. 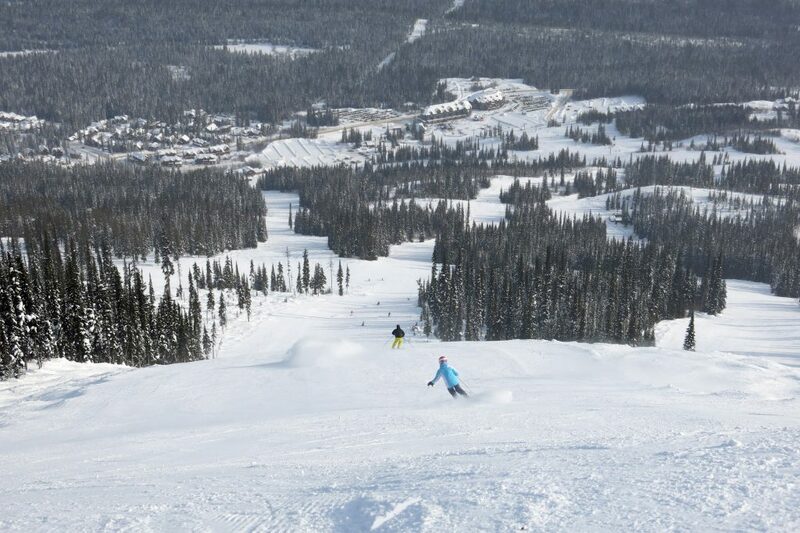 It has a reputation for steep inbounds terrain and impressive sidecountry. Our first introduction to Kicking Horse was the single lane bridge that crosses the Columbia River near Golden that you have to cross before making the long climb up to the resort base. We were both looking at each other wondering if we were on the right road. 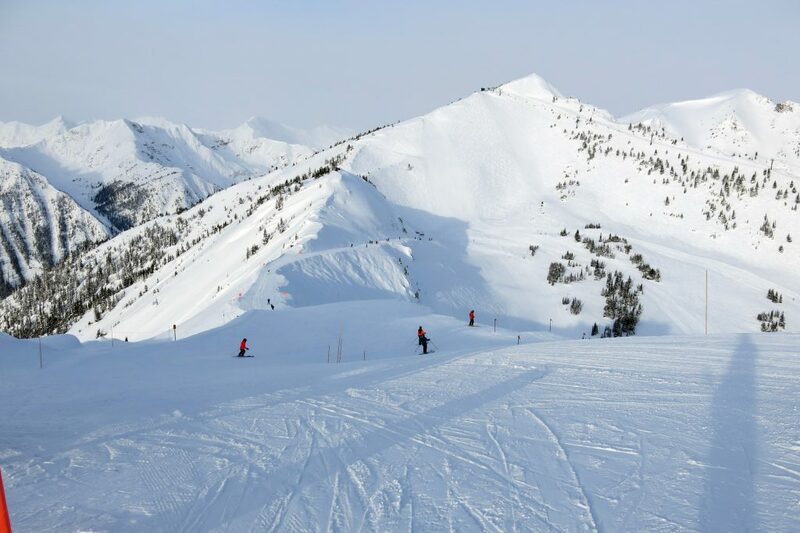 Most of the resorts in BC start at the bottom of valleys, but Kicking Horse Village is built on a bench part way up the mountain. 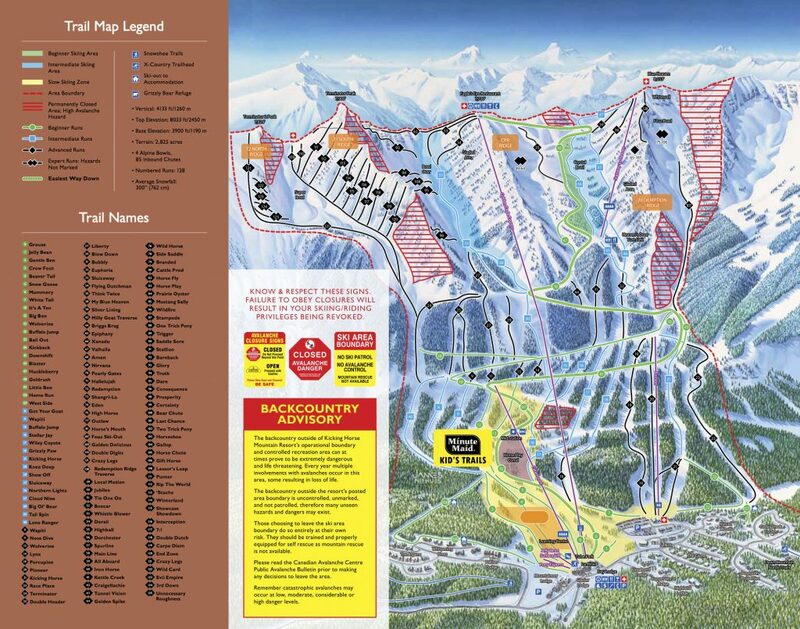 Every day at Kicking Horse is going to involve lapping one of only 2 lifts that cover most of the lift-served terrain. This is another RCR resort that we skied in 2018 and ALL of them implement cost-cutting measures that are really annoying. 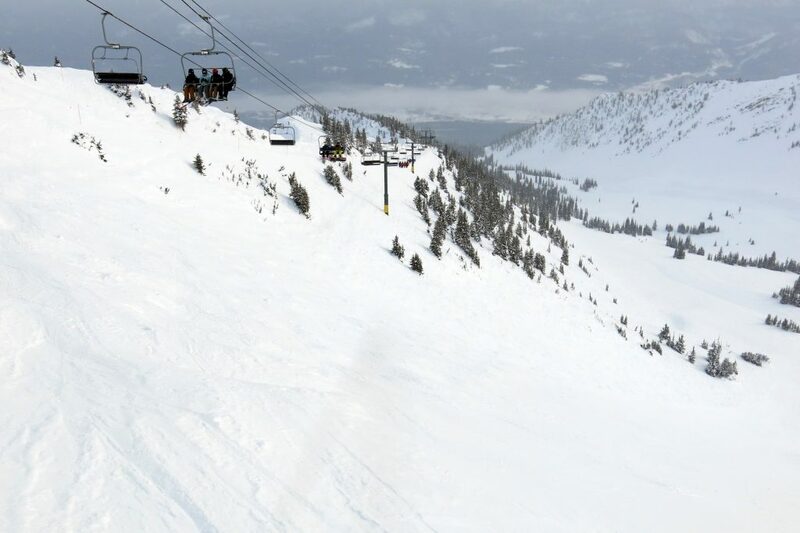 At Kicking Horse, they were not running the Pioneer lift which would have been a great way to lap the steep groomers on the lower part of the mountain. it was also warmer down there but there was no way to ski that terrain without waiting in line at the Gondola and then making your way down either Crystal Bowl or Bowl Over. The Golden Eagle Express gondola is super impressive. It climbs an incredible 3500 vertical in one stage. 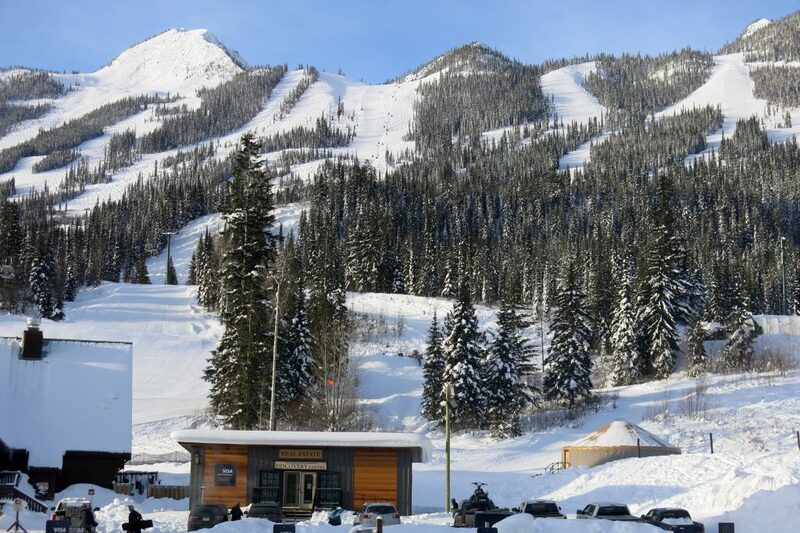 The problem is that it’s relatively small just like the Revelstoke gondola, and being the only major lift there is usually a wait. You are also going to be trapped on that thing a long time, so I hope you like your gondola mates. On one ride we had a fun time with some kids critiquing the graffiti of drawn on the window condensation. The first ride on that lift is an eye-opener. 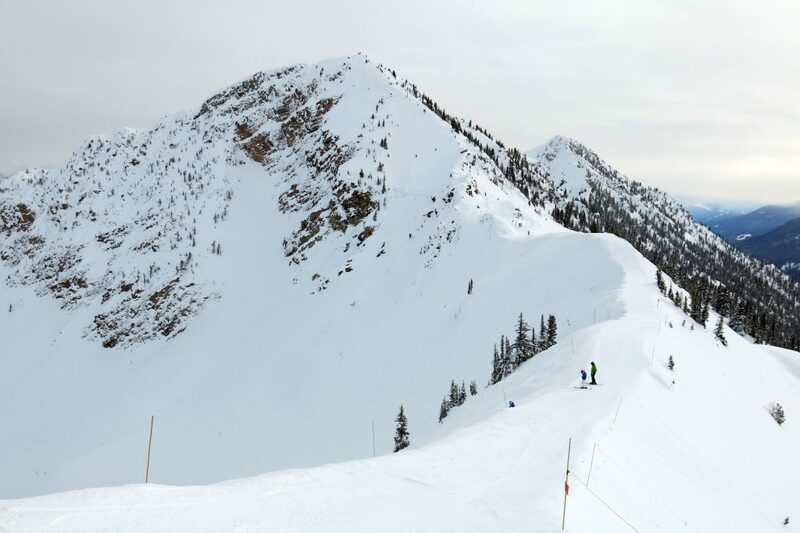 You climb up over some really steep fall-line treed runs and then when you reach a breakover point that would be the top of most lifts, you see that there is whole other world up above with steep ridgelines and countless steep avalanche chutes. 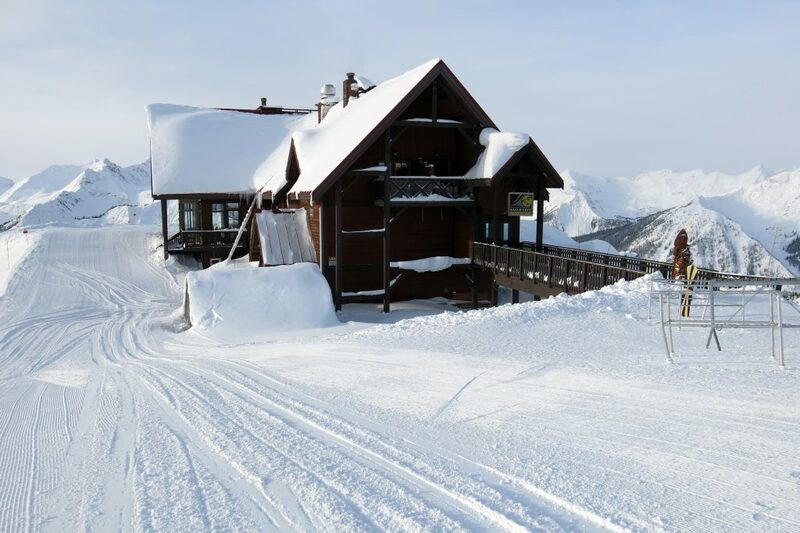 The lift terminates at the Eagle’s Eye restaurant which is a must-do lunch experience if you are skiing at Kicking Horse. 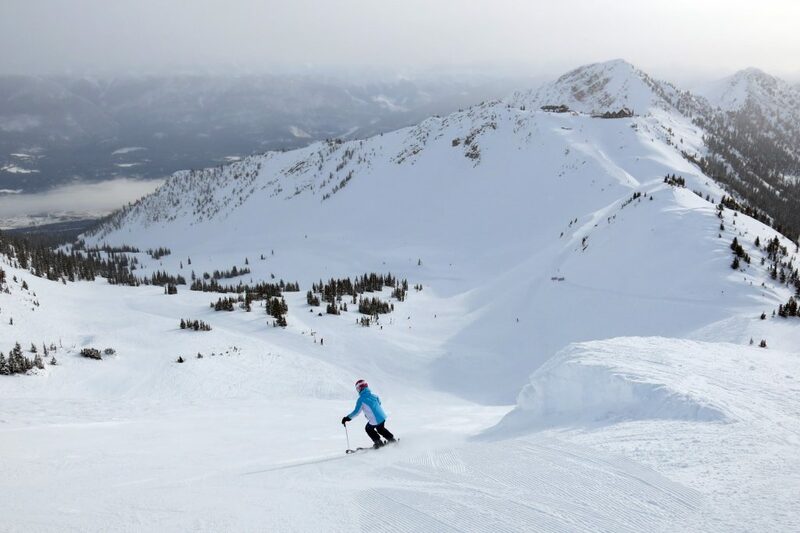 Almost everything at Kicking Horse is steep. Normally this would be a good thing for us, but this place takes it to the next level and is second only to notorious La Grave in my experience. It makes Taos, NM look easy. The level of the average skier here is incredibly high. We were passed on a sketchy traverse by a group of women that were absolutely ripping up the place. It was humbling. If I had time to explore on my own it would have been better because I don’t mind putting myself in a tough spot, but when AiRung and I are exploring together a place like this can be a challenge. The best pod for us was the Stairway to Heaven lift. Although it was super cold up there, we spent a lot of time skiing the runs off Redemption Ridge. The main floor of Crystal Bowl should really be rated green oddly, and that’s the problem at Kicking Horse — there is really almost no intermediate terrain. 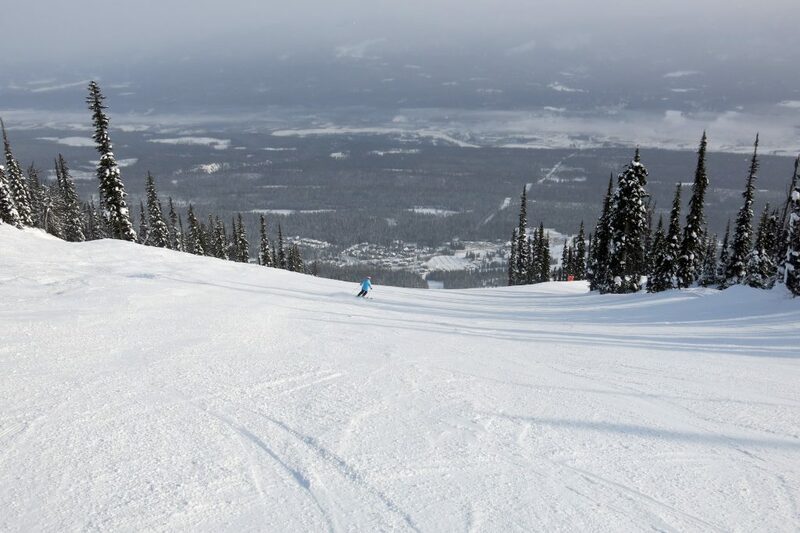 It’s either easy, steep, really steep, or insanely steep! 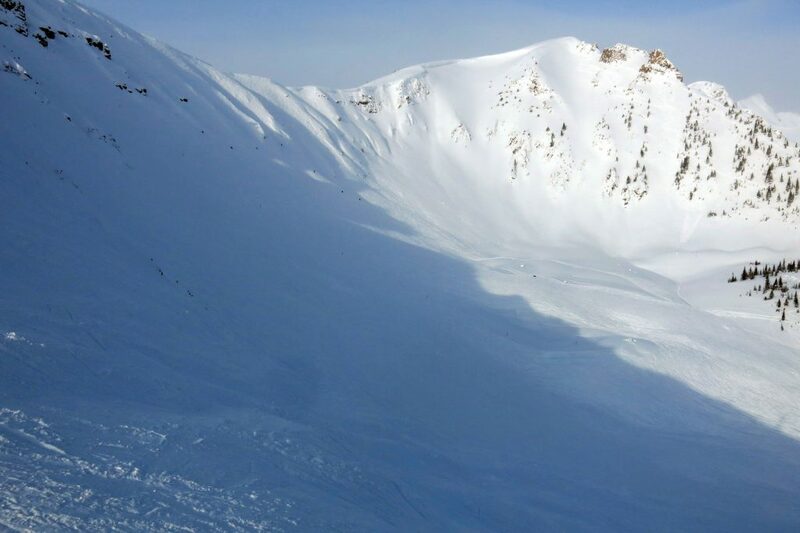 Adding to the terrain problems is the fact that probably over 50% of the listed runs actually require hiking to get to, and it’s often very exposed knife-edge ridge stuff that will spook even experienced experts. We spent a lot of time just contemplating what we could get to safely. There were a couple of long steep groomers like Euphoria which were the best runs on the mountain for us, but these were actually crowded because that’s where everyone was going. They groom most of the lower angle stuff, but there’s not much more they can groom there so it’s always going to be limited. 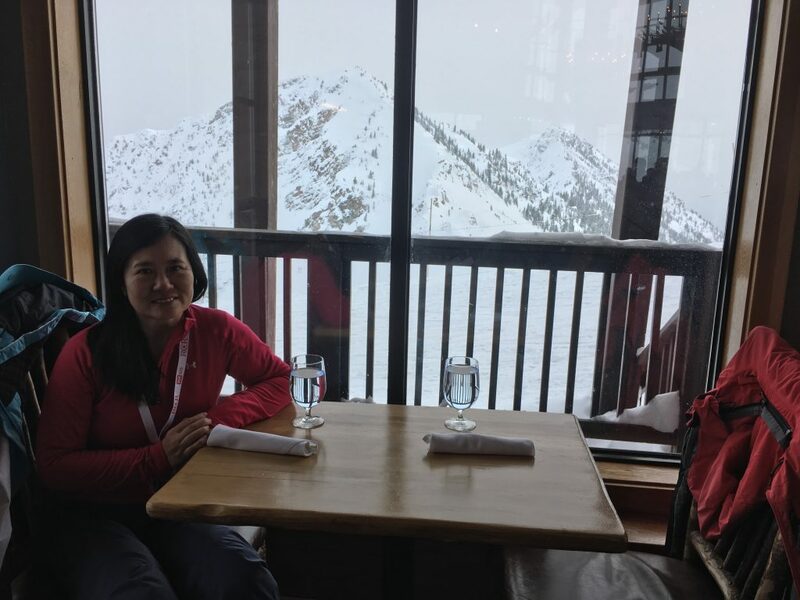 We had the obligatory lunch at the Eagle’s Eye restaurant which is precariously perched at the top of the gondola. That was impressive with good food and probably the best view that we have ever experienced eating lunch at a ski resort. It’s truly not to be missed if you are there. 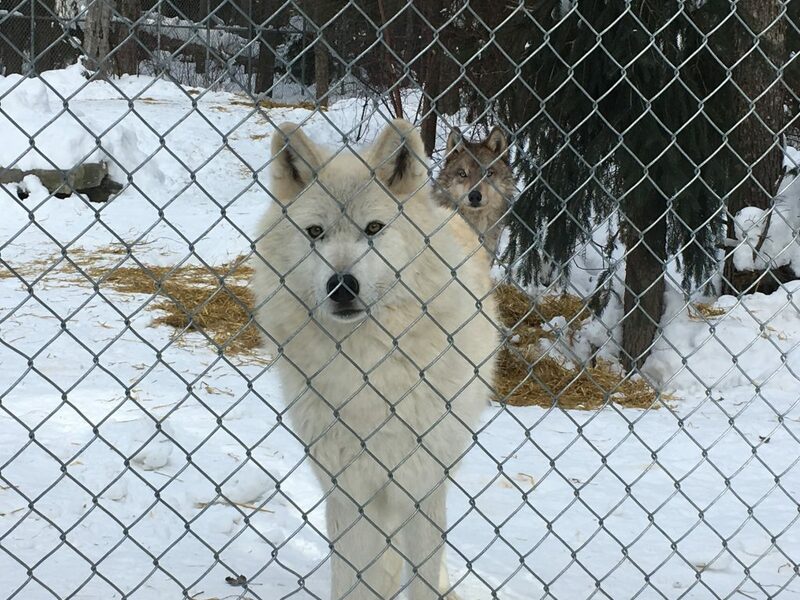 We actually called it a day early so we could go visit the Wolf sanctuary north of Golden. That was an incredible experience to top off a day full of incredible experiences. You can actually pay to take a couple of the Wolves for a walk, which we didn’t do because you have to arrange that ahead of time, but next time we are up there we plan to do it. 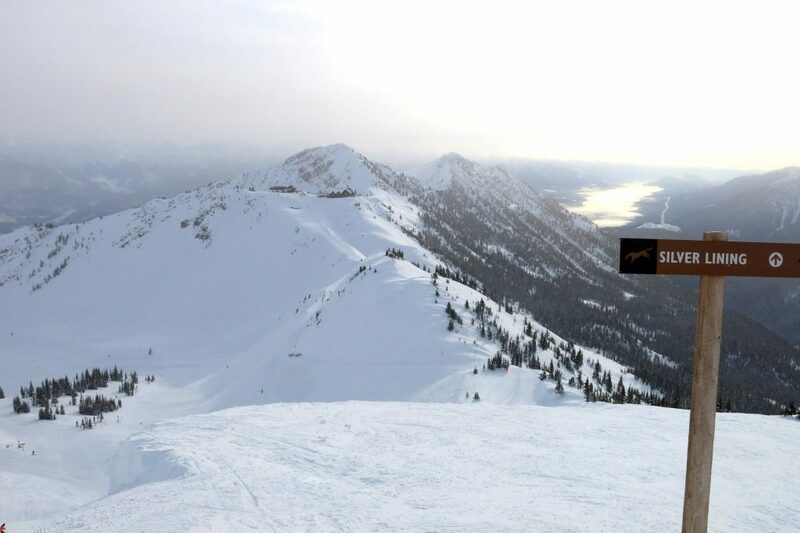 After one day at Kicking Horse we decided to move on. We were seeking a place with more balanced terrain so instead of spending 2 days there we moved on to nearby Panorama the next day, which turned out to be a great decision. 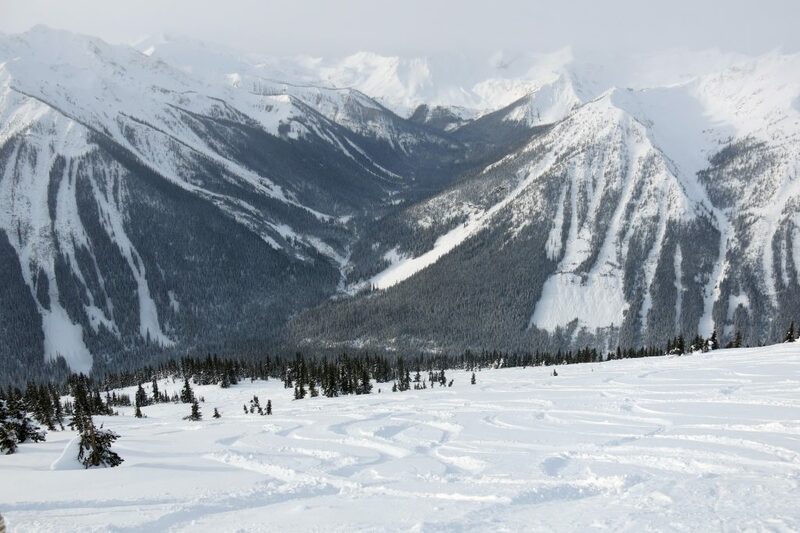 To the right person seeking ultimate challenge Kicking Horse will be one of the best resorts in North America, but for us it’s just a bit too much challenge and not enough of everything else.